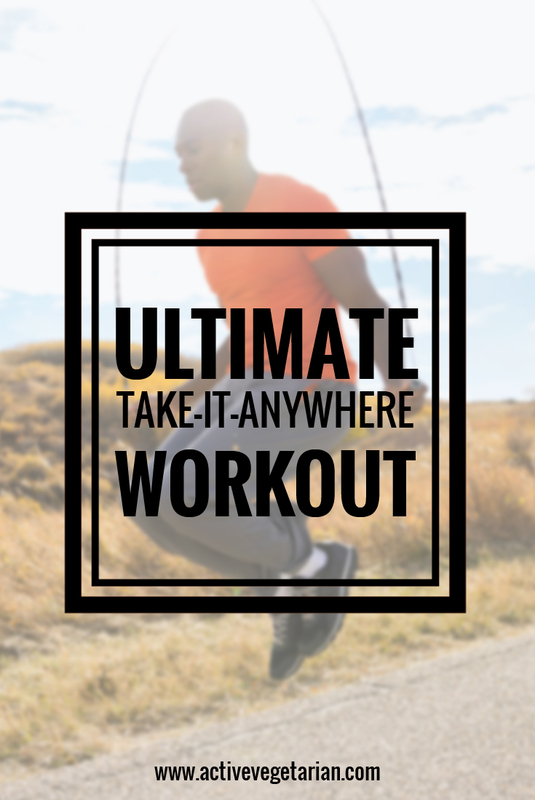 » Fitness » The Ultimate Take-It-Anywhere Workout! Are you traveling out of town? Can’t make it to the gym today? With a couple of pieces of equipment stashed in your suitcase, it’s easy to get in a workout without leaving your hotel room. Two basic items to pack are exercise bands and a jump rope. They weigh next to nothing and take almost no space in the suitcase. Complete three rounds with 30 seconds rest in between. 100 Monster Walk Steps (50 per side)The Monster Walk is a lower-body exercise that strengthens the quads and glutes. If you really want to target the hips and buns, this is the move for you. You’ll feel the burn right away! The monster walk is also an effective prehab exercise to warm up the hips and hip flexors.